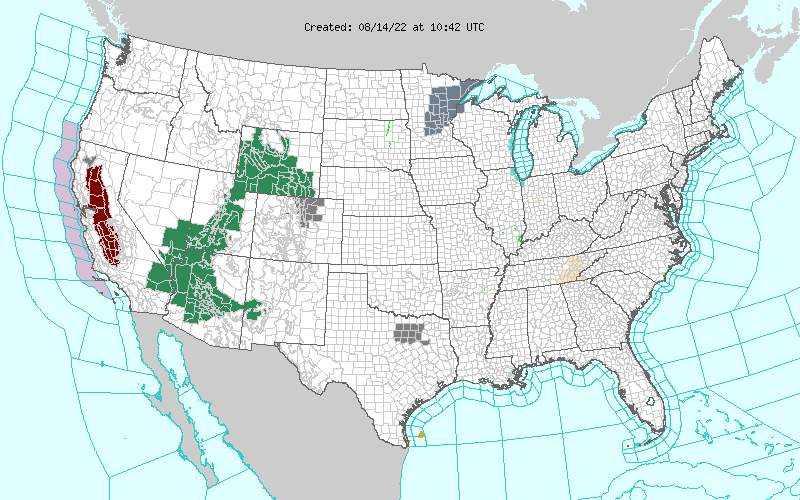 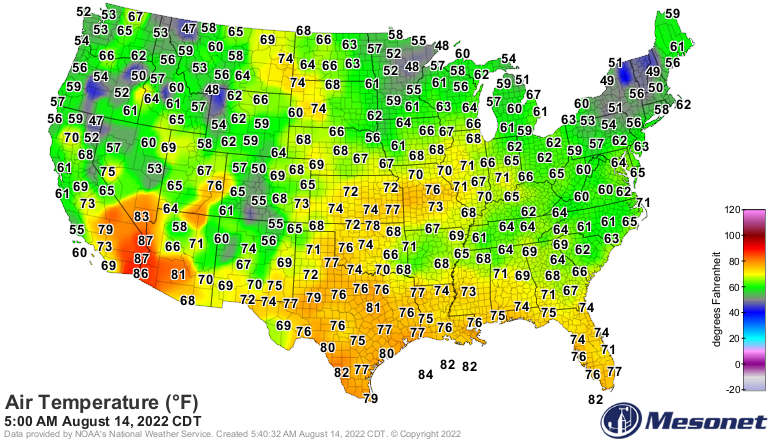 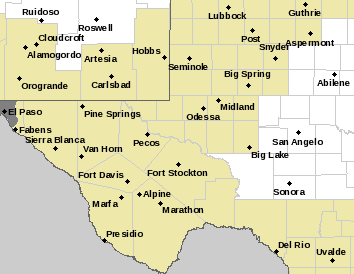 Howdy October - Snow In The Rockies & Severe T-Storms In The Plains. 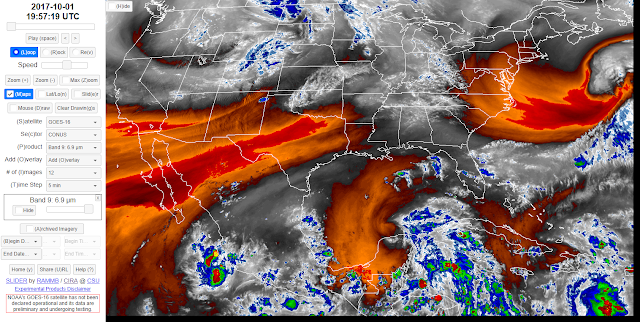 RAMMD/CIRA Water Vapor Satellite Image. 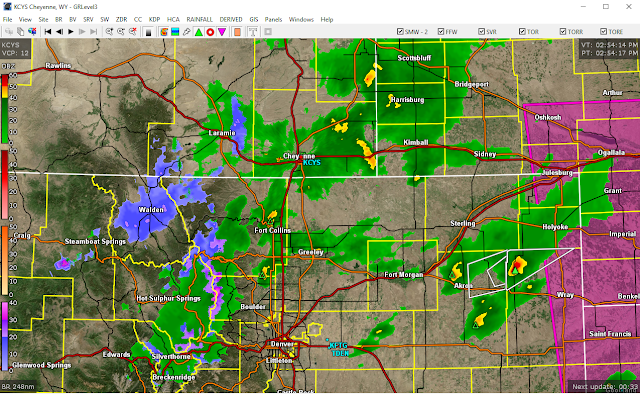 Valid At 1:57 PM MDT Today. GFS 500 MB (18,000 MSL) Forecast. 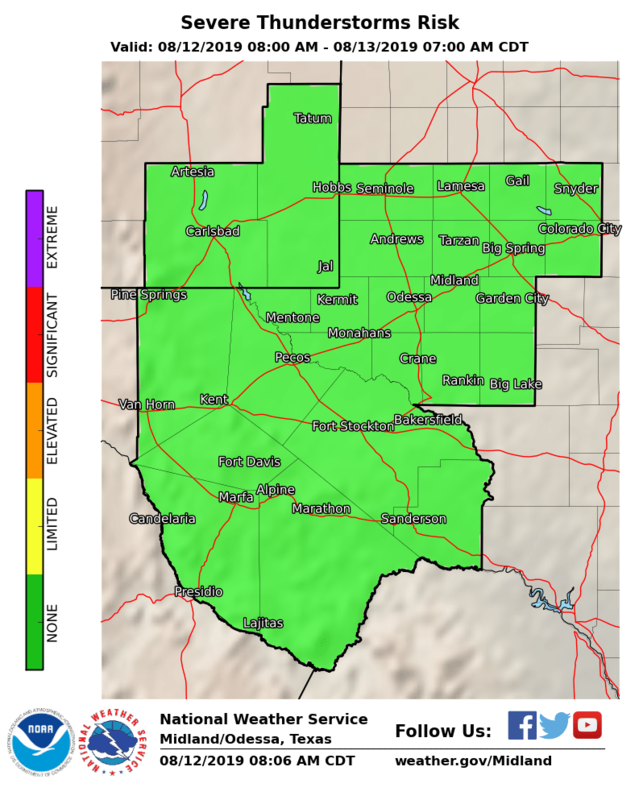 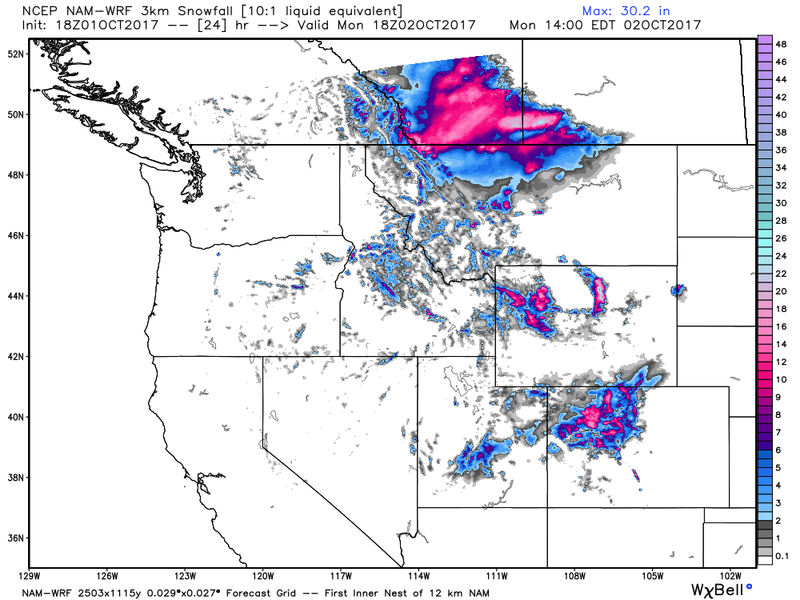 Valid At Noon MDT Monday. Valid Until 11 PM CDT/10 PM MDT. 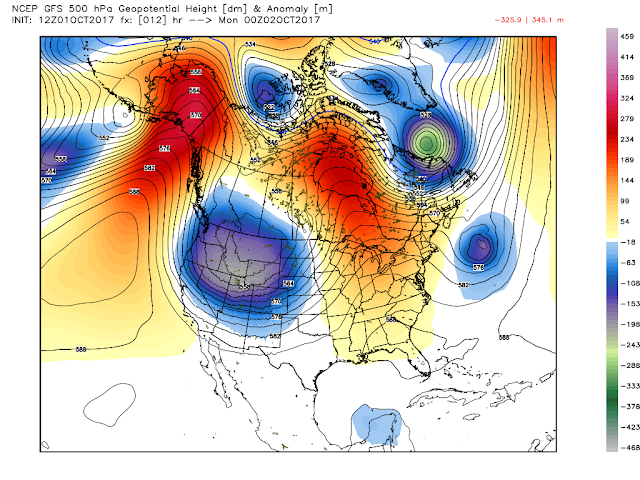 A deep cold mid and upper level trough of low pressure is currently digging southward over the Northwestern States. 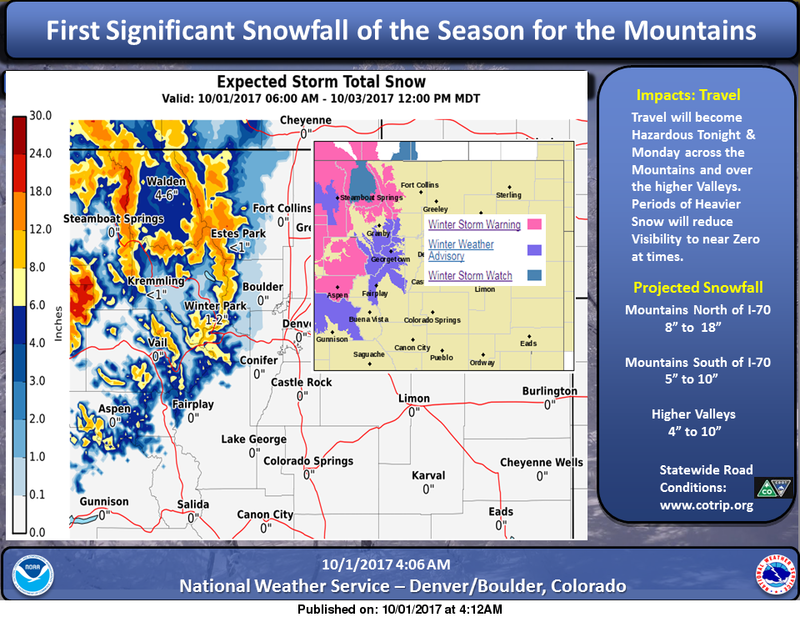 This storm is responsible for snows breaking out of portions of the northern Rockies and Colorado. 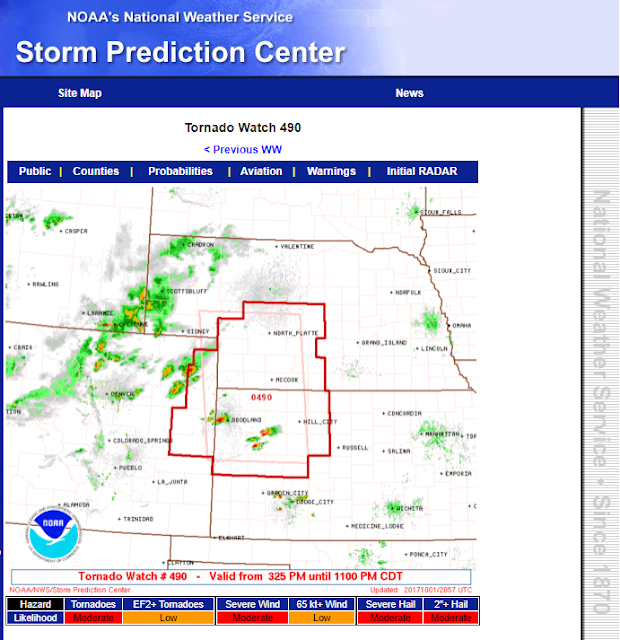 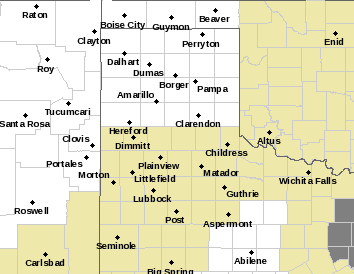 Meanwhile severe thunderstorms are forecast to spread across southwestern Nebraska, eastern Colorado, and northwestern Kansas this afternoon and evening. 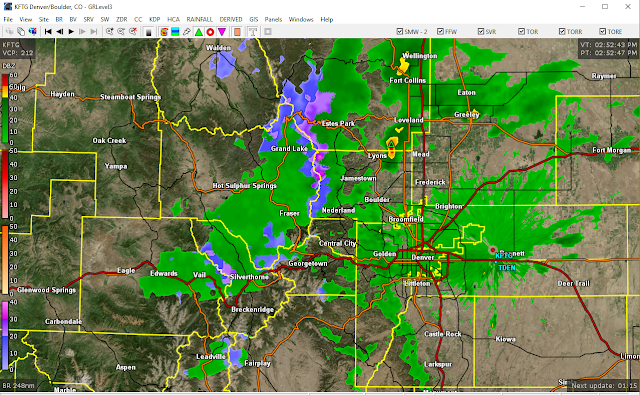 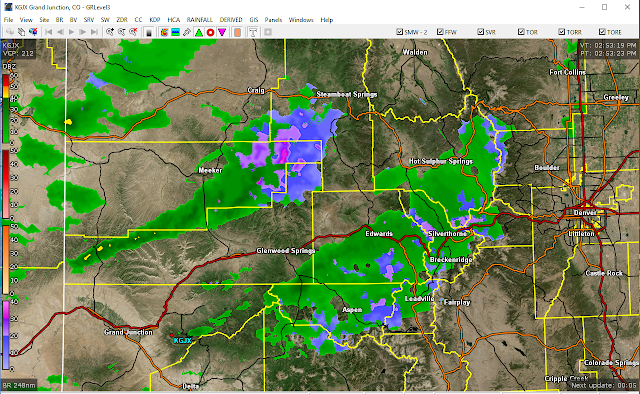 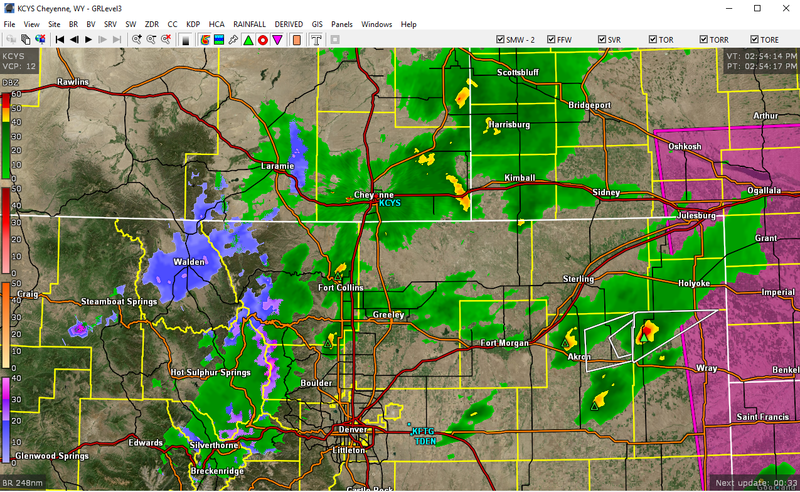 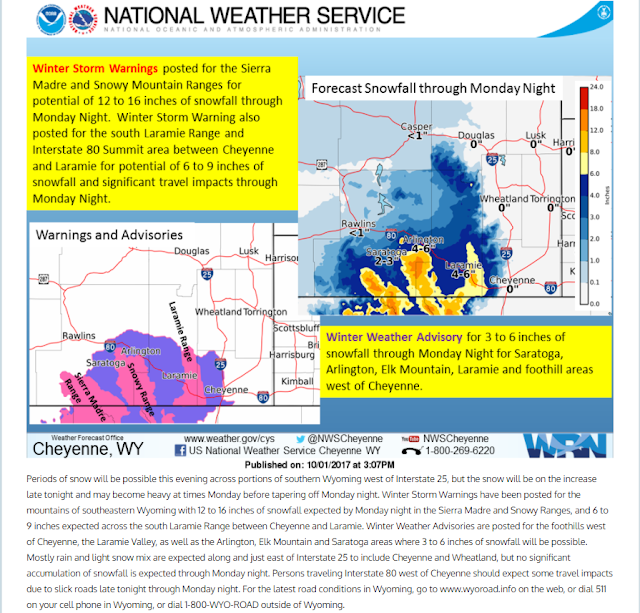 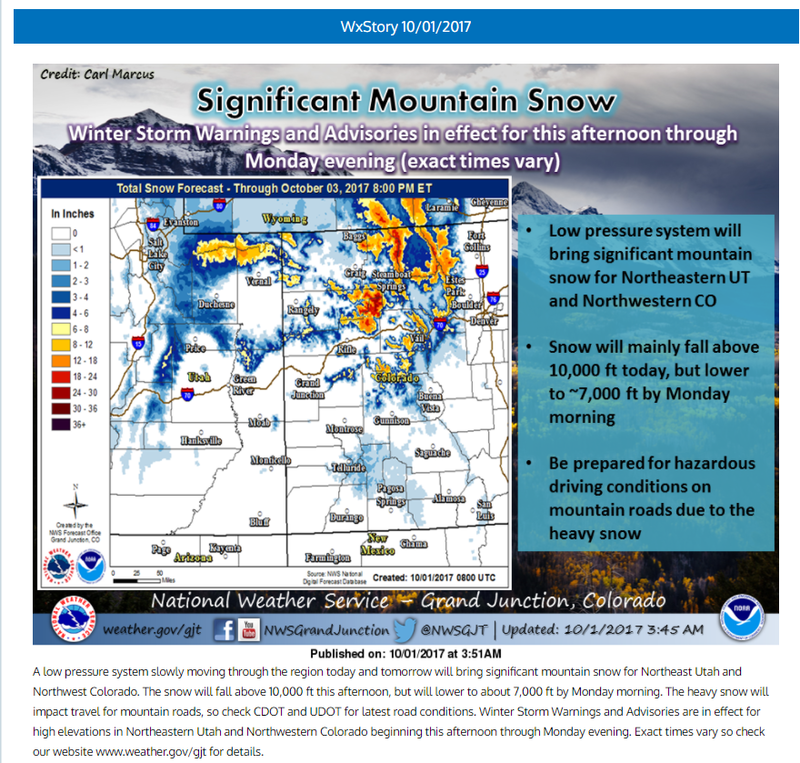 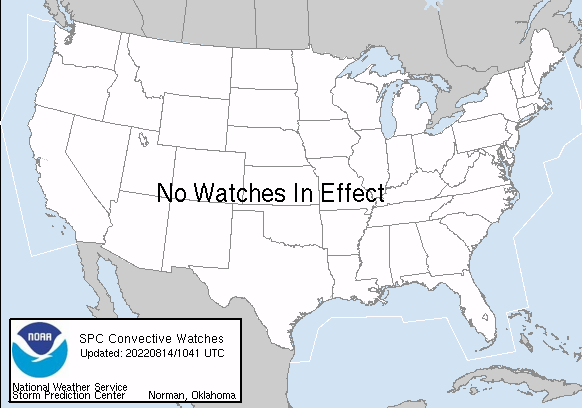 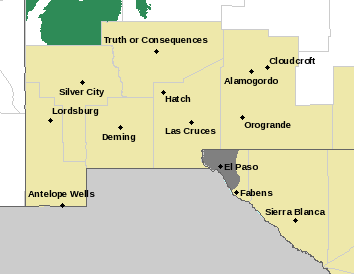 Winter Weather In Portions Of The Rockies. 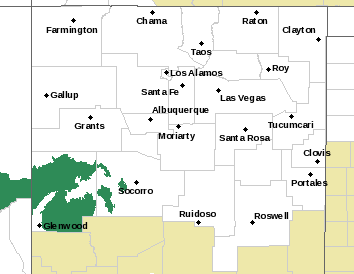 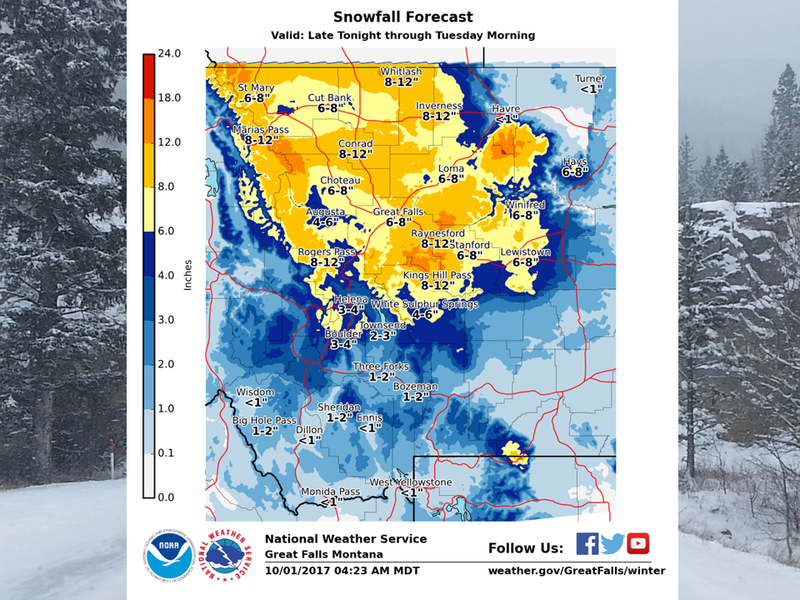 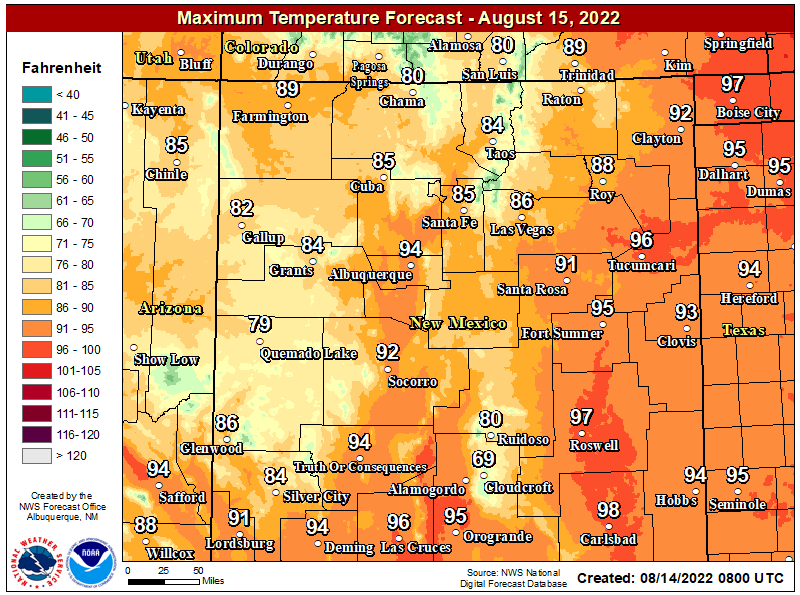 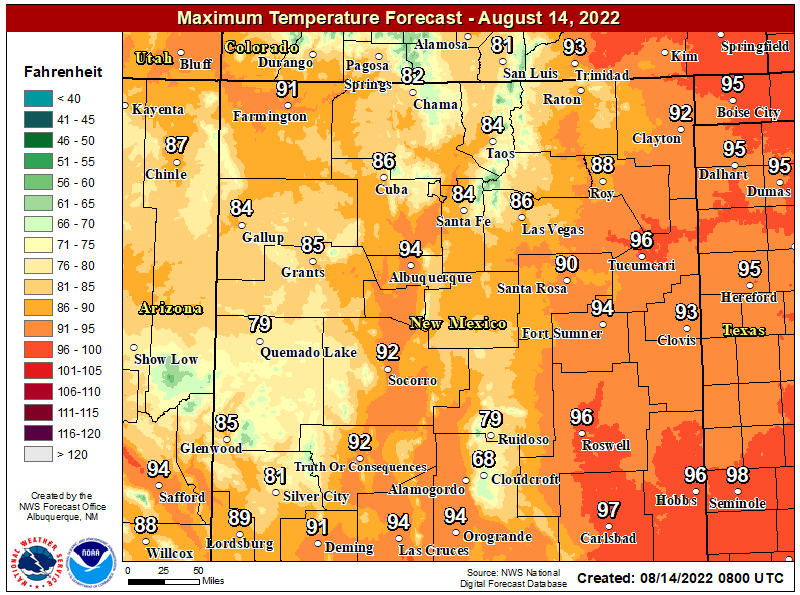 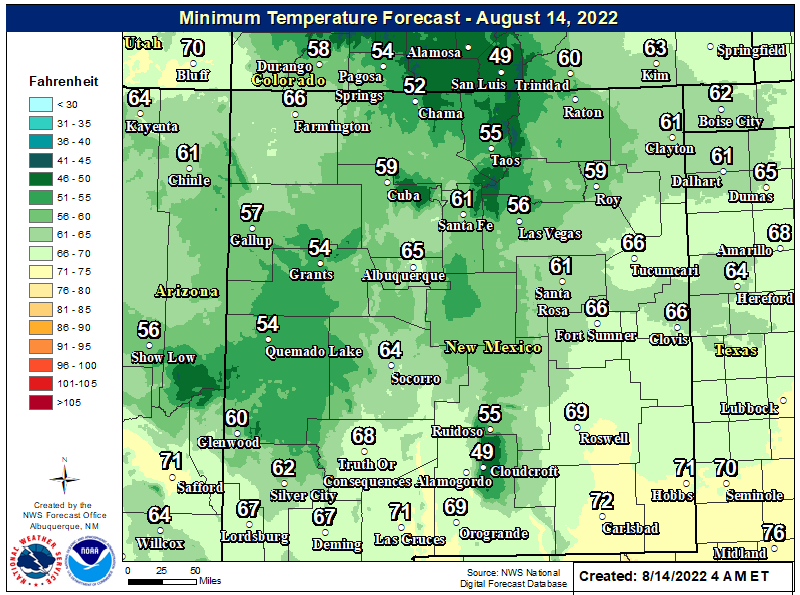 Courtesy Of NWS Grand Junction, Co. 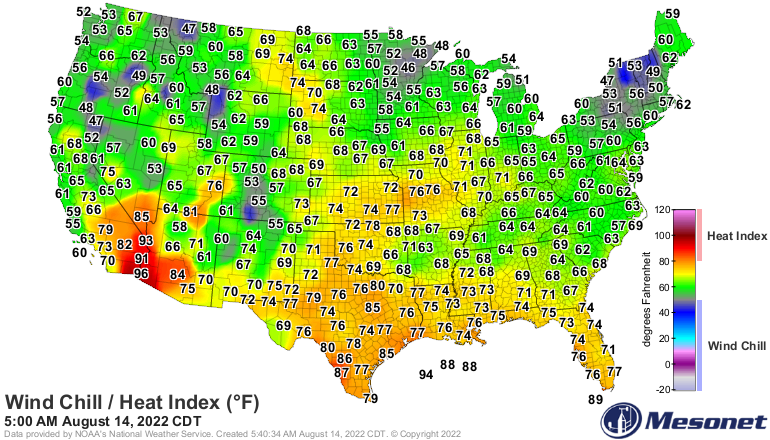 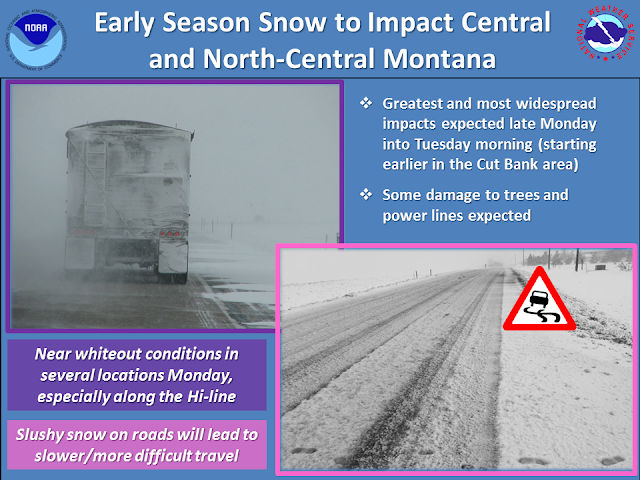 Courtesy Of NWS Great Falls, Montana.